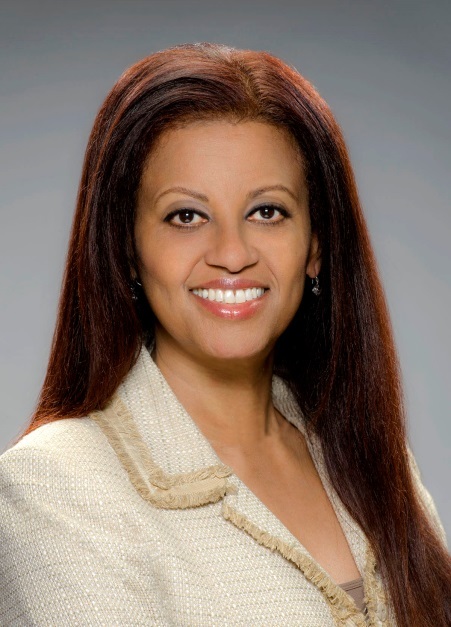 GAITHERSBURG, Md., March 8, 2017 /3BL Media/ — Aster Angagaw, Sodexo’s CEO of Healthcare, North America, was selected by Black Enterprise Magazine as one of the “Most Powerful Women in Business.” This exclusive listing ranks the most influential African-American female executives from across the country. The feature coincides with the Black Enterprise Women of Power Summit, which begins tomorrow, March 9-12 in Phoenix, where honorees will be acknowledged for their professional achievements. At a time when African-American women make up less than 1.5 percent of senior-level executives in the private sector[i], forward-looking companies are ratcheting up overall efforts around gender parity, diversity and inclusion. Sodexo for example, which specializes in facilities management and food service operations, has set aggressive targets to reach 35 percent of women in its senior leadership ranks of the top 1,400 by 2020 and to achieve an optimal gender balance range (40 - 60 percent) by 2025. Recruiting and retaining top female talent from all walks of life remains a strategic imperative for Sodexo globally. Women remain underrepresented in leadership roles, in spite of research indicating that gender-balanced leadership has a positive impact on the bottom line. It is important to note, however, that gender balance impacts performance only when the optimal balance is reached. Angagaw points to a recent Sodexo study which confirmed that this balance corresponds to a male-female ratio between 40 percent and 60 percent, reinforcing that diversity is key to enhanced performance. Prior to her current position, Angagaw was senior vice president, global head of sales and business development for Sodexo, responsible for directing business development for the global Healthcare segment. Previously, she served as Sodexo’s Group vice president for global transformation. In this role, Ms. Angagaw led the design and coordination of the change management effort globally as the company underwent a transformation to become the leader of Qualify of Life services. Angagaw’s experience in organizational and operational leadership spans more than 20 years. Currently a member of the North America Regional Leadership Committee for Sodexo, she has held various senior leadership positions within the company, including corporate market strategy, offer and business development and strategic client relationship management. She has also won a number of awards for her roles at Sodexo, including the 2014 Diversity Leadership Council’s Leadership Excellence award, the 2014 Uptown Professional’s Top 100 Executives in America and Savoy Magazine’s Top Influential Women in Corporate America in 2014. Black Enterprise, the publication recognizing Angagaw’s accomplishments, is the premier business, investing, and wealth-building resource for African‑Americans. Since 1970, Black Enterprise has provided essential business information and advice to professionals, corporate executives, entrepreneurs, and decision makers. "You could not find a better example of women of power than the female executives represented in this issue. Our editorial team developed this list to not only celebrate the black female business elite," said Black Enterprise President and CEO Earl "Butch" Graves Jr. "But to demonstrate that it requires unparalleled expertise and resilience to break through barriers that female executives continue to face today."